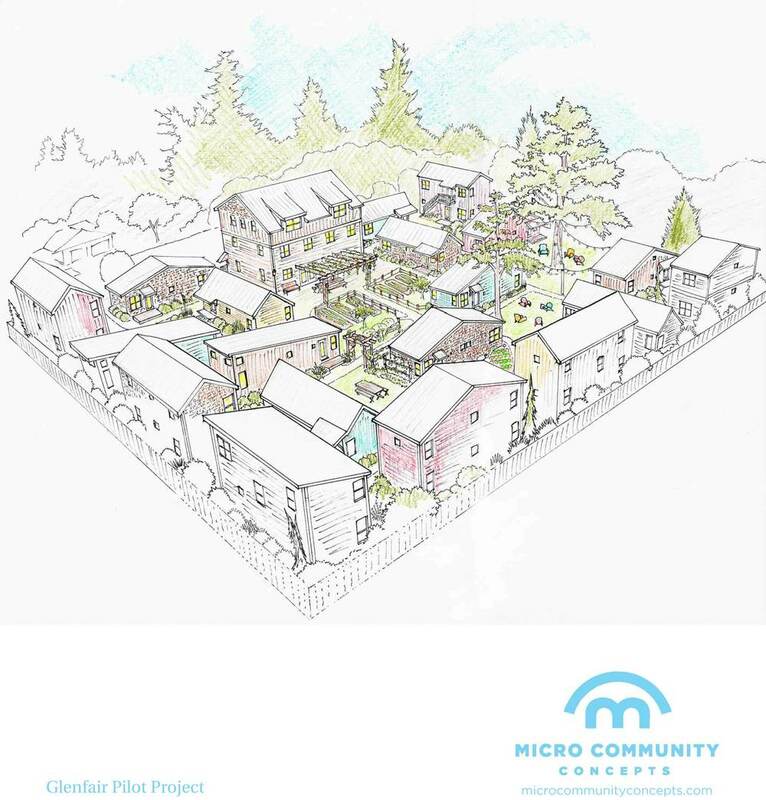 This pilot project masterplan was designed for Micro Community Concepts in collaboration with Patrick Hilton to address the growing need for affordable housing in Portland. 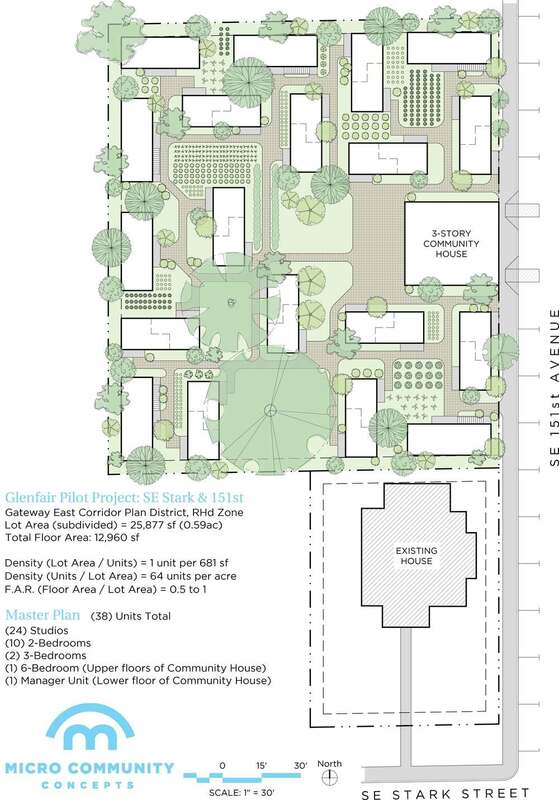 The site plan combined 38 housing units (including one six-bedroom house), gardens, community space, bike storage, and large existing trees on a small parcel of land in the Gateway East Corridor Plan District. 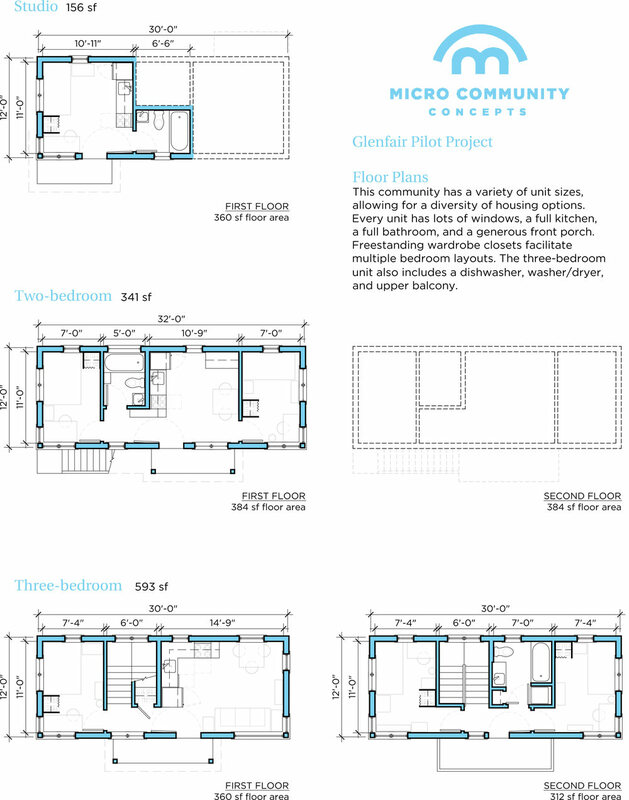 Two-unit residential housing was the primary feature, which will keep costs low but still provide abundant light & ventilation as well as immediate outdoor access to all inhabitants of the community. The proposed land was sold soon after the plan was made public, and the organization is currently seeking another viable parcel of land, as well as funding for the construction.